AVOID THE BAD: NO Plastic Based Ingredients To Create Smoothing, NO Dioxane, No Mineral Oil or Petrollatum (Petroleum-based grease), NO Alcohol, NO Diethanolamine (DEA), NO Glycols (PEGs), NO Parabens, NO Phthalates, NO Carcinogens, NO Neurotoxins, NO Hormone Disruptors, NO Dangerous, Harmful or Chemical Ingredients, NO Animal Testing, and NO Worries. 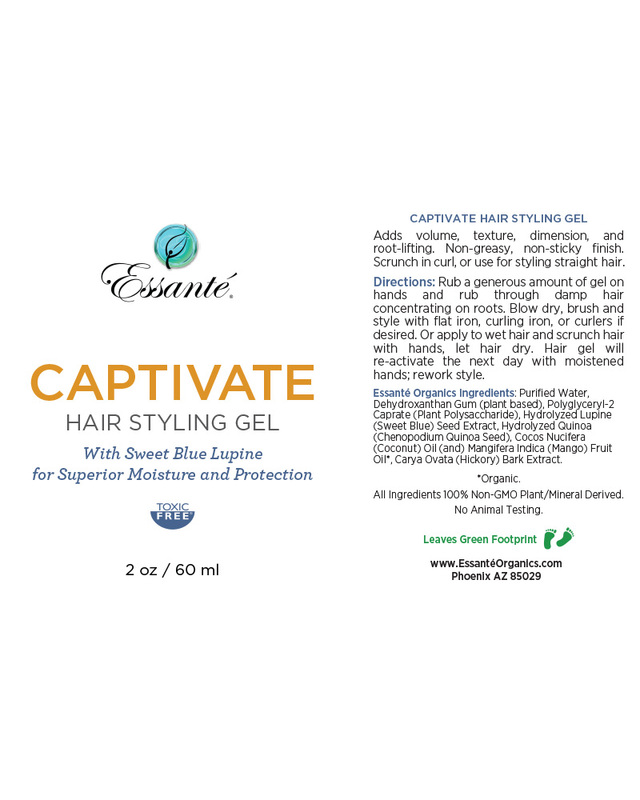 Every Essante Organics product is guaranteed to be the best working product you have ever enjoyed, or send it back for an exchange or refund.  See our 30 Day Satisfaction Guarantee and verify how organic we are: Click COMPANY - GUARANTEE & GREEN SEALS. DOES NOT WEIGH MY FINE HAIR DOWN! I have very thin/fine hair and anything heavy or greasy just doesn't "cut" it for me and weighs my hair down! 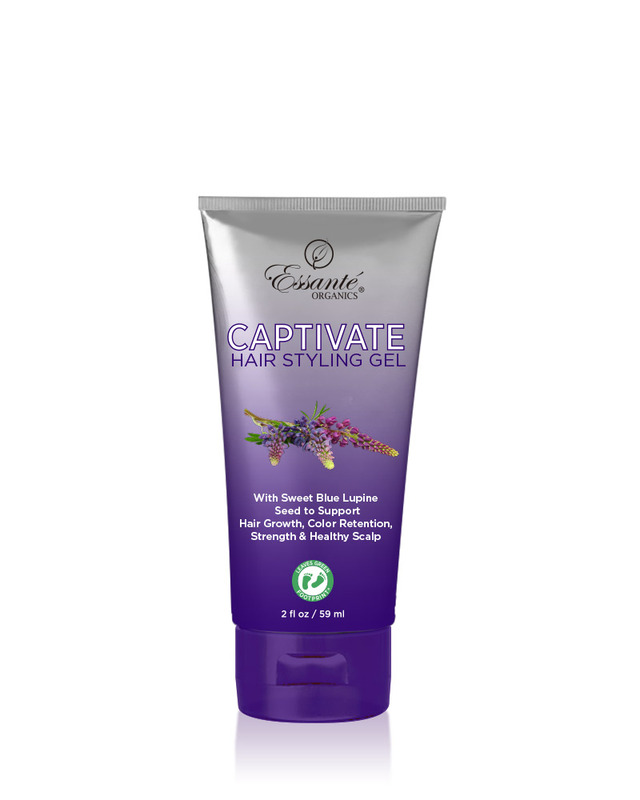 The Captivate Hair Styling Gel works wonders, maintains a lighter finish and I love the smell on my hands afterwards! Best part of all....refreshing feeling mentally and physically... knowing that I am not slathering toxic chemicals all over my body! 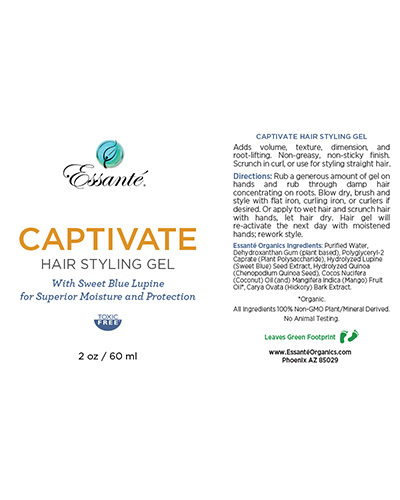 Essante Organics Captivate Styling gels works wonderful in rainy weather… Usually when my hair gets wet, it becomes extremely frizzy, not the case with Captivate. It feels very light in my hair, not sticky or stiff at all. I am excited to keep using it and share with others! LOVE Essante Organics Captivate hair gel!!! 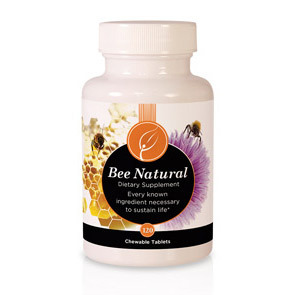 Not only is it TOXIC FREE and safe to use on my entire family, but it also provides all day hold...Even on my wild 2 year old! Running, playing, a nap and shopping are no match for this stuff! My daughter always kept her hair pulled back because it was frizzy and unmanageable. Being half-Hispanic, she has her dad's coarse, curly hair. No shelf product has ever made a difference. When she tried the Essanté shampoo and conditioner, they helped with the dryness, but her natural curl was not accentuated. 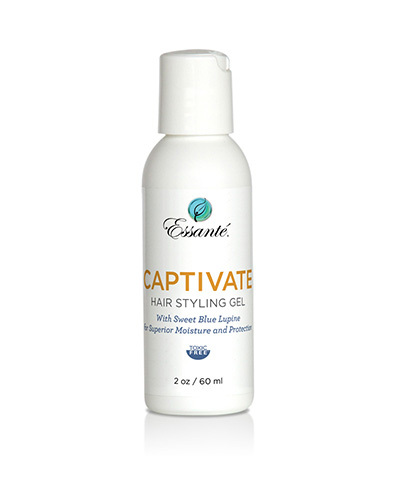 Essanté's Captivate kept her hair in beautiful spirals. We love it! 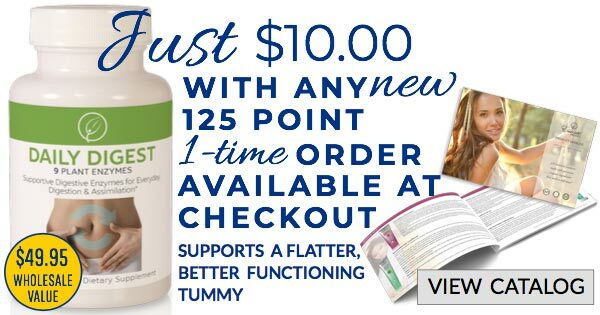 Purified Water, Dehydroxanthan Gum (plant based), Polyglyceryl-2 Caprate (Plant Polysaccharide), Hydrolyzed Lupine (Sweet Blue) Seed Extract, Hydrolyzed Quinoa (Chenopodium Quinoa Seed), Cocos Nucifera (Coconut) Oil (and) Mangifera Indica (Mango) Fruit Oil*, Carya Ovata (Hickory) Bark Extract. *Organic. 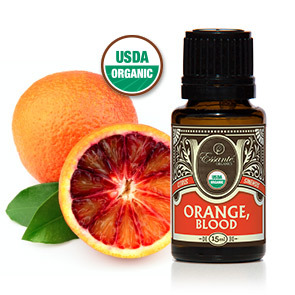 All Ingredients 100% Non-GMO Plant/Mineral Derived. No Animal Testing.